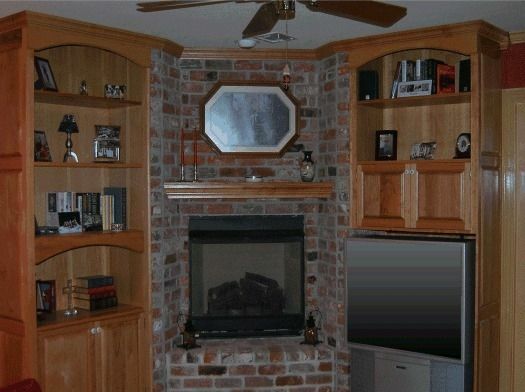 The pecan bookcases, entertainment center and mantle. Crown moulding was fabricated to match existng moulding. Dimensions: Two units, each 36" wide, 94" high, 14" deep.